Dubai, United Arab Emirates, January 7, 2015. 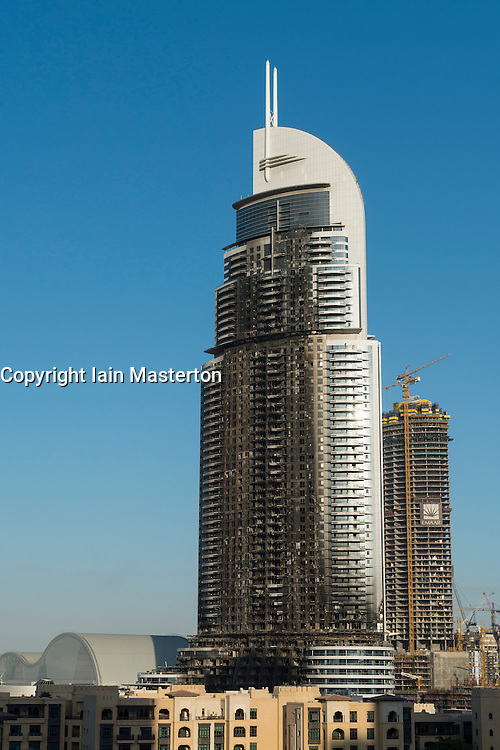 View of the gutted facade of The Address Hotel after fire ravaged the building on New Year's Eve 2015. Inspection and repairs have started and the Hotel is planned to be fully repaired and reopened.